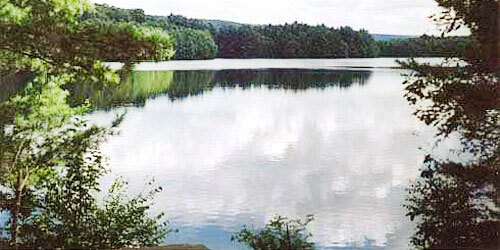 State and local parks in Connecticut cover many different types of topography and plant life, and many have lakes or ponds with opportunities for boating and paddling. Some are located in cities, deep in the woods, or on the shore, complete with saltwater beaches. The range of opportunities for outdoor sports or just enjoying a pleasant walk, is wide open, in every season of the year. 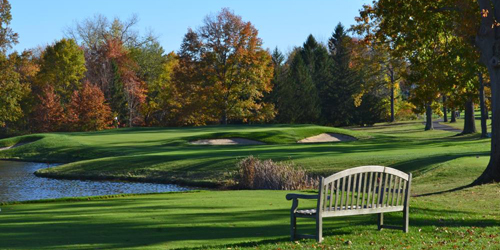 Wethersfield may be “Ye Most Ancient Towne” in Connecticut, but its many parks – it has 644 acres of parkland – have all the modern conveniences. Mill Woods Park includes a skate park, lighted tennis court, picnic pavilion and a dog park, and Standish Park features a wheelchair-friendly playscape accessible for all children. You can go geocaching, letterboxing, fishing or ice skating; play basketball or bocce; take a dip in a swimming pond; launch your boat; or visit a nature center with live animals. And of course there are acres and acres of walking and biking trails through meadows, forest and wetlands including the Heritage Way Bikeway and Pedestrian Path through this authentic, classic New England town. One of the most remarkable parks in the state, Gillette Castle State Park features a mansion built in 1919 for actor William Gillette, who was famous for his role as Sherlock Holmes. 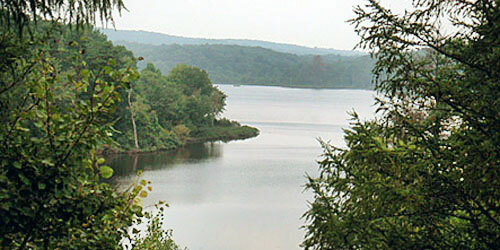 The park is set on the Connecticut River and features fishing areas, short hiking trails and picnic spots. Season and Hours: Hours: Memorial Day to Labor Day, Thursdays through Sundays, 10 a.m.-5 p.m. The grounds are open year round. 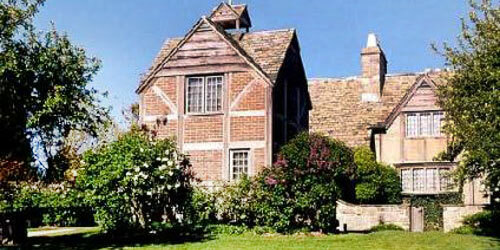 Tours of the castle are offered; call for schedule. Admission: There are no fees for parking or visiting the park grounds. A per person charge applies for Castle tours. Cockaponset's name derives from a deceased Indian chief. The second largest state forest in Connecticut has it all: Areas for fishing, hunting, snowmobiling, hiking and cross-country ski trails, fresh water swimming and picnic areas. 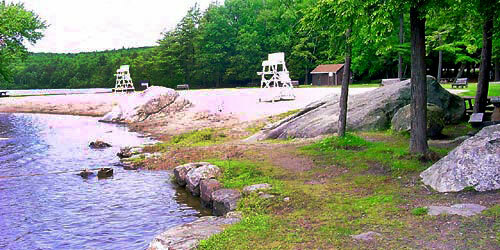 Seasonal weekend/holiday parking fee at Pattaconk Recreation Area, $20 (non-residents). Free parking on weekdays. Amenities include pit toilets. 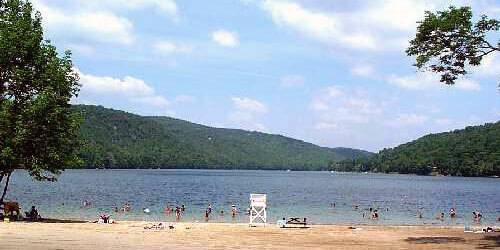 State park features a sandy beach, fishing areas, food concession, bathhouse, and swimming areas. 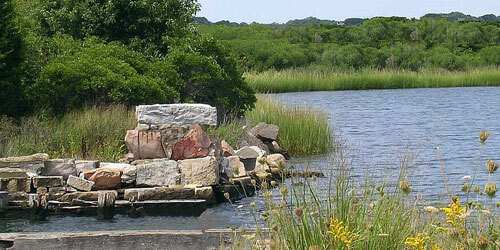 Have a leisurely lunch in the picnic grove, swim in Long Island sound, or view marsh life from the observation platform. Because of the sharp rocks and shells at West Beach, visitors are urged to wear beach shoes. East Beach, which has lifeguards on duty from 10 a.m. to 6 p.m. each day. Surf and shore fishing are allowed outside of swimming areas. Park fees: Weekends, $20 for residents and $30 for non-residents. Weekday fees are $14 and $20. 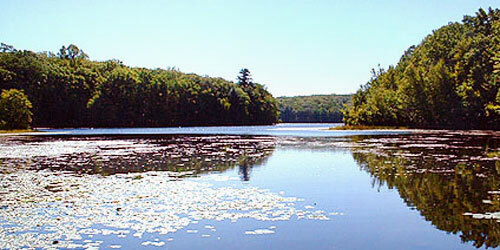 Fee is $10 after 4 p.m.
Stratton Brook State Park is completely handicap-accessible. Enjoy biking, field sports, walking & hiking, picnicking, and swimming. There is a scenic bike trail through a pine forest and past bubbling brooks and streams. Amenities include restrooms, rentable picnic shelters, and picnic sites. Park map. 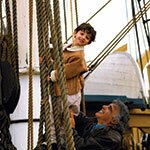 Admission: CT residents, $9; non-residents, $15. 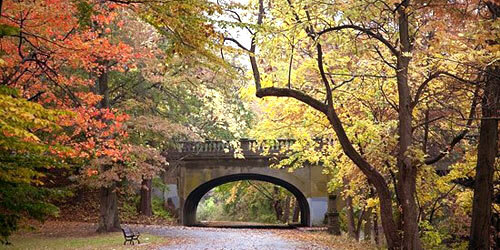 Hubbard Park has 1,800 acres of parkland ]for year-round use. The park includes the East/West Peak, also known as Hanging Hills of Meriden. It is part of the Metacomet Ridge. The park includes woodland, lake and stream, flower gardens, and picnic areas, and Mirror Lake. Activities: Hiking and biking are permitted. Fishing is allowed in Mirror Lake for youth age 15 and younger. Picnic tables are available. Swimming, rock climbing, and boating are prohibited. Directions and Parking: Take I-91 South to I-691 West to the exit for Southington/Route 322. At the exit off ramp, turn left onto West Main Street. Hubbard Park is a mile down the road on the left. Parking is at the park at the start of the trail head adjacent to Mirror Lake. The main attraction of Talcott Mountain State Park is 165-foot high Heublein Tower, a scenic historical landmark which offers hikers spectacular views of the surrounding landscape, as far as Long Island Sound. Discover the region’s wildlife including deer, fox, rabbits, and birds. 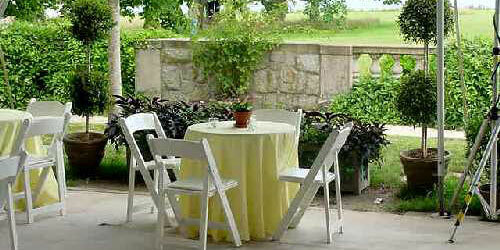 Amenities include picnic tables, grills, restrooms, and a picnic shelter. Free parking. Seasonal Tours: Thursday - Sunday 11 a.m., 1 p.m. and 3 p.m. Season & Hours: 8 a.m.-sunset; Tower is open late May-Labor Day, Thursday-Sunday, 10 a.m.-5 p.m.; Labor Day-October 31, open six days a week, 10 a.m.-5 p.m. The centerpiece of this beautiful park is the 60-foot Chapman Falls. 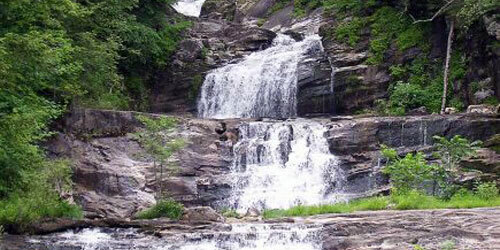 Activities include bicycling, birding, camping, hiking, picnicking, and stream fishing. You can horse around in the horseshoe pit, and picnic at any of five sites along Hopyard Road. Also, Devil's Hopyard Campground offers 21 sites in a wooded setting. Camping is available from mid-April through September 30. Facilities include grills, picnic shelters, picnic tables, composting toilets. Free parking; nightly camping fee. Sweet riverside park for water sports and picnicking. Easy walking trails along the river. Located on the Housatonic River, this park has a nice waterfall and swimming area, as well as a picnic grove in the shade. Visitors enjoy swimming, boating, fishing, picnicking, and hiking some nearby trails along the river. A boat launch is open April through September. A parking fee of $10 to $20 is charged.